There's lots of chatter in the wine geek circles about Equipo Navazos - so I thought it was time to try a bottle of the fino. 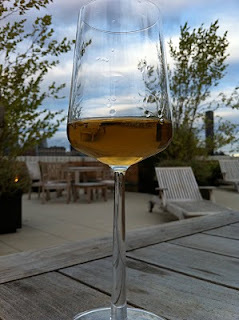 Fino and Manzanilla are one of the great ways to start an evening and fortunately (from a cost perspective), sherry is still unpopular and can be relatively inexpensive. Why is that? Do the oxidative notes scare people? Is it too confusing? Or is it just that it's an "old" persons drink? Whatever the reasons, people should get over their preconceived notions and drink a drop of sherry. 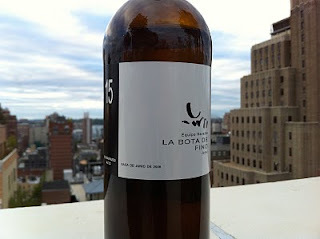 The La Bota de Fino #15 is definitely a good sherry, but at $40 for a bottle, it's pretty expensive. Upon first opening, the nose seemed pretty closed, but on the second day, it was much more expressive. 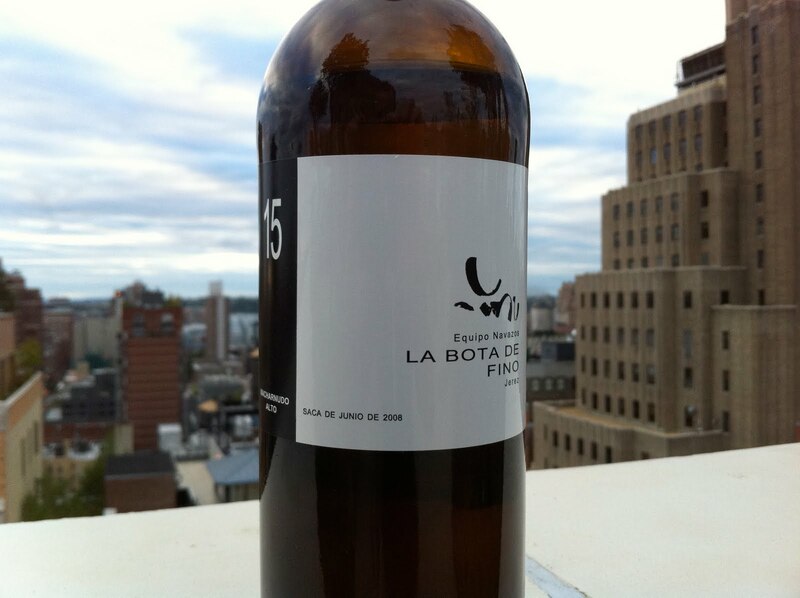 Lots of nuts, minerals, citrus, salt - like a sea breeze. The second evening, I drank it with pan fried sardines - and it was an excellent pairing.